If you want the earthly equivalent of paradise on a spoon, try this dessert. It is truly to die for. I am not a great person for sweet things but this is something quite extraordinary that will transport you with delight! 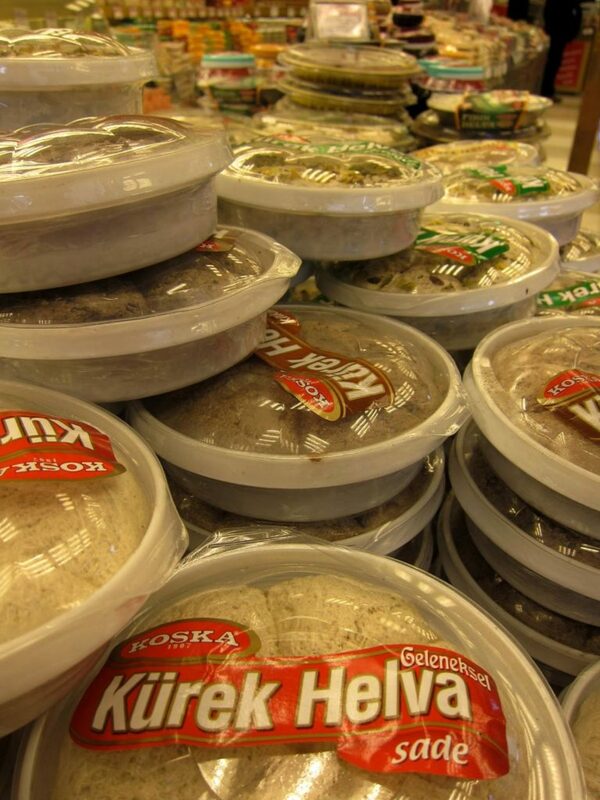 Helva, the Turkish name, derives from the Arabic ‘halwa’ meaning ‘sweet confection’. In fact, helva is popular not only here but in the Balkans, the Middle East, Poland funnily enough and other areas around the Mediterranean so you can see it has a huge appeal. Yet I find on my Culinary Walks, that people are not usually familiar with it. flour-based, made from grain flour, typically semolina/irmik, and the primary ingredients are clarified butter, flour and sugar. And nut-butter-based, made from tahini/tahin (sesame paste) or other nut butters eg sunflowerseed butter with primary ingredients of nut butter, glucose and sugar or honey. This one is drier and more crumbly than the first. 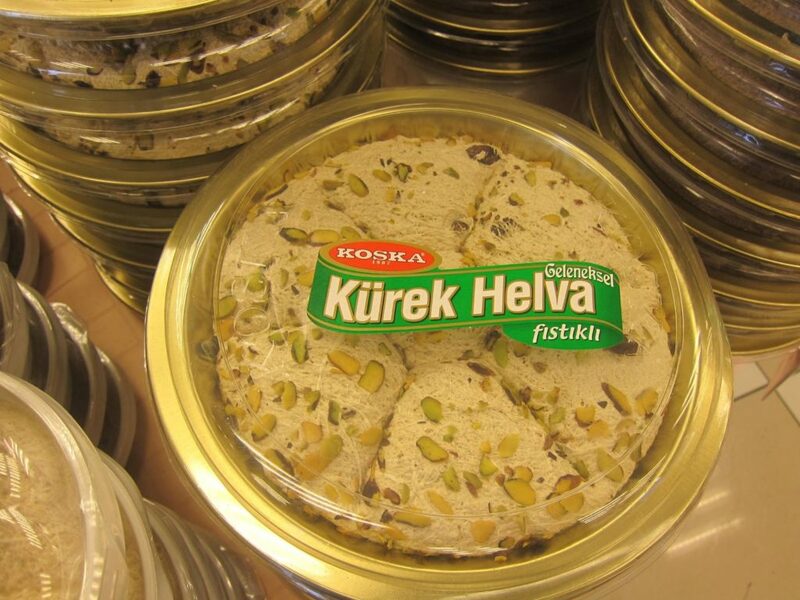 It’s this second one made from tahini that is usually associated with the term helva here in Turkey. It comes in three basic flavours: sade (pron: sar/deh) or plain, fıstıklı/with pistachios, and çikolatalı/chocolate and I can’t decide which one is best! 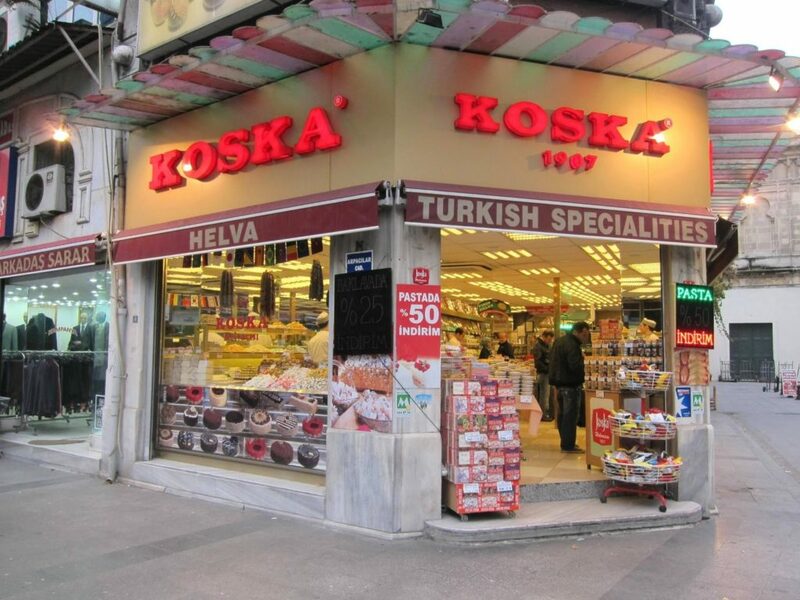 You can easily find it on the shelves of major supermarkets here in packets of varying sizes, as well as in speciality shops like Koska, traditional helva shop extraordinaire. It keeps brilliantly in the fridge although as you can see from the pictures, it doesn’t have to be refrigerated especially in winter. You choose which type you want, take it home and cut slices just like that and die. No,no, I mean you slowly savour the taste, the unique consistency, and the flavour. A little goes a long way as it is pretty sweet. But you will love it. Now, there is another way of eating it and that is hot. Yes, you can mix it with lemon juice, lemon or orange zest, chopped hazelnuts or walnuts, or even cognac or orange liqueur and bake it in the oven! In Turkey this is what you would traditionally have after a fish meal in a restaurant to sweeten the palate – ağzı tatlandırmak için. It makes a pretty cool dessert at home too – we recently had this at friend Susan’s house after an amazing tuzda balık or one big fish cooked entirely in 4 kilos of salt prepared by her husband. Now in the meantime TT and I embarked on the Dukan diet but we had friends for dinner last night. I thought this would be an ideal dessert as I could make individual ones for everyone and put diet yogurt in our two dishes. Yes, that does sound a bit miserable, doesn’t it? In the end what happened was that TT showed great fortitude and left his helva while I, dear reader, ate mine. Mash the helva with a fork and then add the other ingredients. Use an electric hand mixer to reach a smooth consistency which should become like ‘a loose hummus’. (This was an extremely helpful comparison that Susan made as it’s all about the consistency of the milk and the helva). 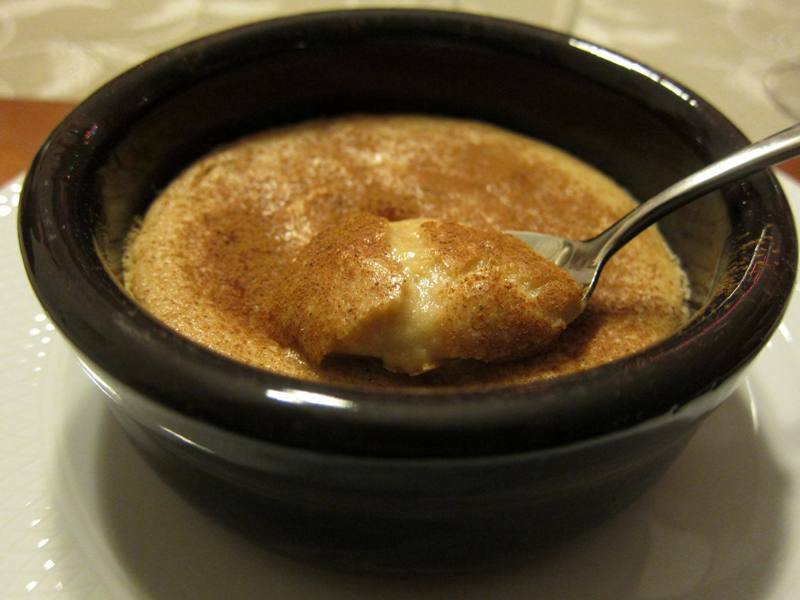 Pour into 6 individual ramekins or small ovenproof dishes, or as they do in the restaurants, one large but shallow oval dish. NB each one is supposed to be filled to a depth of 1cm only as it’s so rich. 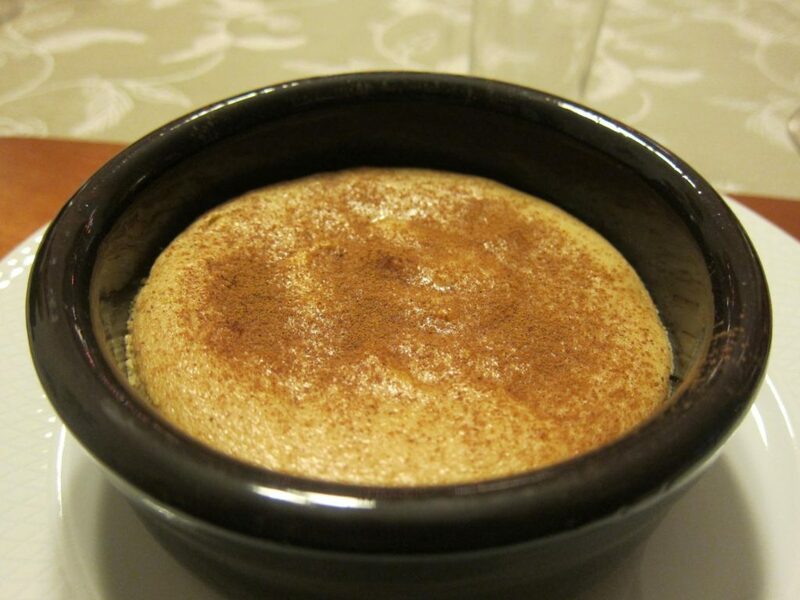 Sprinkle with cinnamon and place in the hot oven for about 5 mins or maybe a couple of minutes more, depending on how deep you filled the ramekins. Take a look at Maddie’s Vine to see what we were up to on Thursday! You can see some of my photos on my facebook Page! My lovely blogging friend Özlem from Ozlem’s Turkish Table will be here mid February giving a cooking class at the Istanbul Culinary Institute: here’s the link with all the info: http://www.istanbulculinary.com/eng/certificate-programs/amateur-programs. STOP PRESS: 2 new calves born in last 2 days! This is about our cows in Assos. Now reached the grand total of 21!! But these 2 are males so they’ll have to be sold on .. This is fascinating, and your photos are fabulous. I can just imagine the texture of this dessert — your description of both the helva itself and the hot dessert make me need to try it soon! I think you should :)! helva is a very big deal here. 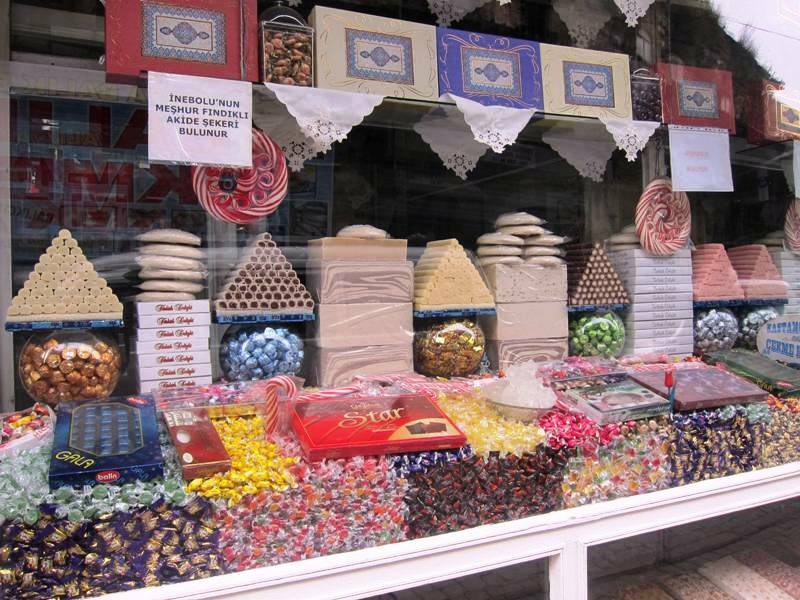 we have one of the largest jewish communities in the country and helva is a popular sweet. all of the stores have big chuncks of all different kinds on the counter just like you showed! Hi Joyce! That's interesting! So it must be the tahini-based one then? Have you tried it? Your pictures bring back lovely memories of our trip to Istanbul last year. Thanks for your lovely comment! Istanbul is a great destination for a holiday! My hat's off to TT. If given a choice between fırında helvası and diet yogurt, diet yogurt and my diet along with it go right out the window. 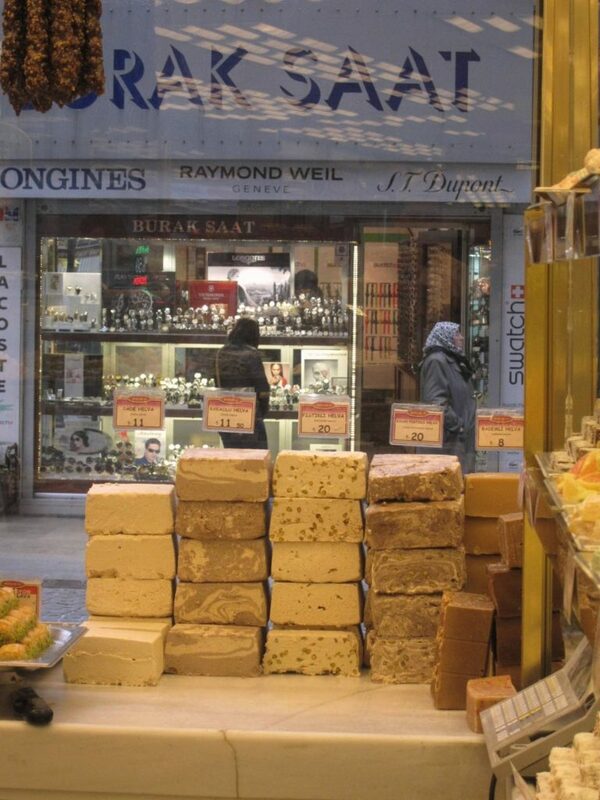 I still remember the meyhane in Bursa where we first tasted this delight. I thought I'd died and gone to heaven. But I never thought it was so easy to make at home. I just hope we won't succumb to temptation too much . . . .
Hi there! Yes, he was pretty amazing, I must say. But now we both are back on the ole diyet …sigh. But I stand by my guns and would make this again for guests! I love the pistachio one – I buy here at our international market. It is decadent!! I have just recently moved to Istanbul and love reading your blog. I'm from Pakistan and there we have a third kind of halwa as we call it- made from fruit or vegetables like we have carrot halwa (very popular in the winter) where you basically cook a bunch of grated carrots and a lot of milk until the milk has evaporated and then you add sugar and cook till it glistens. Similarly you can make halwa out of any variety of squash, lentil halwa, and even egg halwa! Yours looks lovely and I plan on trying it soon! Hi Umbereen! Thanks for commenting on my blog and for giving us an insight into a different way of preparing halwa. It sounds very unusual and I find it hard to imagine veggies with such a sweet confection! I am planning to make this dish soon. 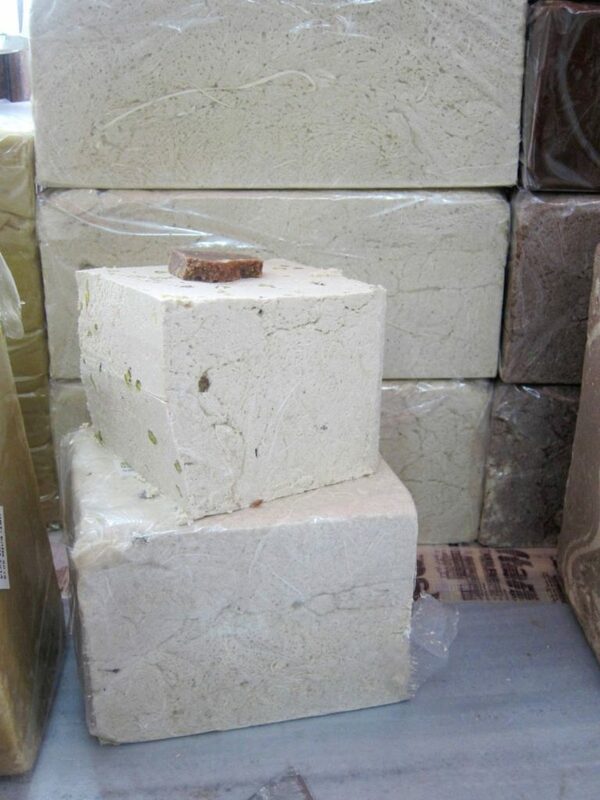 I have been experimenting with halvah or haleweh as it is called here simply because I prefer it with other stuff than plain. Your photos took me back to Istanbul , what a magical place! !